Ribbon Cutting held Saturday, Feb.9,2019. 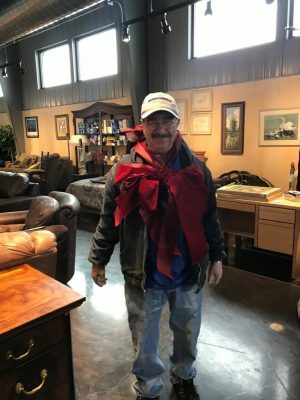 Willie Lucero cuts the ribbon as oldest serving employee! Board members and staff joined in the celebration at our newly constructed building which will house the ReStore, as well as administrative offices.